I spent 10 fantastic weeks in South Africa from January through to April 2018. This was a transformative experience for me as I embarked on a journey vastly different from life within Europe. From the moment I arrived I felt welcomed by everyone I came in contact with. I lived with Chantel and her amazing family. The culture shock was vastly lessened when I realised that South African people also drink ‘normal’ breakfast tea and that ‘Tetley Tea’ is widely available in shops. I immediately knew that I would get on very well in South Africa! However, the purpose of my trip was not just to drink tea in a foreign country but to experience and immerse myself in a different culture and get to know local people. This was facilitated by my time helping out in 2 crèches and with volunteering with the Shine reading programme in a local primary/elementary school. I thoroughly enjoy working with children and it was amazing to see the similarities and difference between my own experience of schooling and how things have evolved in education and the cultural differences of being in South Africa. The ethos of sharing seemed engrained in all aspects of pre-school children’s minds. If a child arrived to school without a sandwich, the child next to him would split his food automatically with prompting to ensure he was fed. This was a very touching and humbling experience as I have never experienced going without necessities. The second major impression I had from my experience was the concept of gratitude. This was something I experienced throughout the Ocean View community, to be truly thankful for every and any blessing you could identify in your day. This was a fantastic lesson for me as I do not feel it is within my own culture to be grateful for what we have, often it is the desire of what we want that consumes our thoughts. This different outlook seems like a simple concept but when you experience this as the perspective of the majority of people in a community it leaves a remarkable impression which is difficult to describe in words. While I made friends with many little angels in the pre-schools and primary school I also tired developing some other skills in cookery and learning Afrikaans. While I by no means consider myself a chef or fluent in a foreign language I do feel that I made some major improvements which I have been able to take back with me. Not eating processed food, appreciating a healthier diet and food waste management are all skills and knowledge which I have taken and use in my daily life. I would thoroughly recommend volunteering with Volunteer Mzansi Afrika for anyone considering this. I had a fantastic experience, mostly due to the kindness and love shown to me by so many people, often complete strangers. Also I left Ireland/UK with a very open mind and the intention of making the very most of the experience. This definitely served me well. I did not enter South Africa with any major preconceptions, however I feel there is a lot of negative press on crime, violence and sickness due to drought. While all these things do exist, during my time in South Africa I definitely felt that they seemed sensationalised in comparison to what I actually experienced. Maintaining a constant vigilance of your own safety should be a priority in any city worldwide. If you are aware of your possessions and your surroundings you will also find that it is just as safe as anywhere else in the world. To conclude, I had a fantastic time and would return to Cape Town in a heartbeat. I adored all the people I met and all the food I had was completely amazing! I would recommend going 110% - one of the best things I have ever done! Where should I start... What an incredible experience I had with Ocean View's community thanks to Volunteer Mzansi Afrika ! I stayed for two weeks with the manager, Chantel Daniels, and her lovely family in order to do my research project on the schooling system in South Africa. Firstly, I have collected more than enough information and have met so many resourceful people thanks to Chantel's amazing job ! I could not have done what I managed to do without you, Chantel. Thank youuuuu ! However, Volunteer Mzansi Afrika did not only help me work on my project but also expanded my vision of the world as well as my vision on myself. Love, joy, possibilities, hope and forgiveness are five perfect words to describe what I felt while I was spending my time in Ocean View. I wish everyone could visit this incredible community and feel the same as me ! 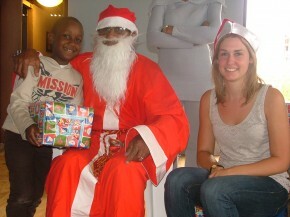 Thank you Volunteer Mzansi Afrika and I hope to visit Ocean View soon. 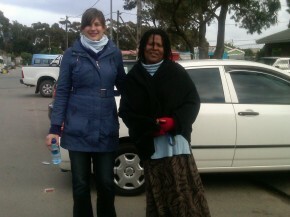 "My experience with Volunteer Mzansi AFRIKA has been spectacular. All activities and projects I have participated in with or because of the organisation in country has have been intellectually stimulating, challenging (to a good degree) and facilitated by growth into a better version of myself"
"I experienced many things because of VMA's diligence and dedication. I always felt that Chantel was knowledgeable and efficient. I loved my host mom and with it my living arrangements. Orientations were helpful for the team dynamic and I believed to be essential. I always believed I was given the time of day if I had concerns and they were answered. I had a wonderful experience." "The community where I was placed opened its arms to us. Chantel treated us as her own. Our host family is our real family. And my project where I was placed working with the children was amazing. The volunteer experience exceeded my expectation and has given me the ability to be a better person. The only downside to this program that it has to end"
The adventure of going to South Africa for almost a year begins and volunteering / serving on a volunteer programme now seven weeks later I can feel time was and is running – the last few weeks had passed so quickly, which makes sense as I got introduced to a whole new world. I stayed within a host family in a town classified by South African standard as a previously disadvantaged community called Ocean View based in Cape Town- South Africa and was working in a pre-school with children between the ages 0-6 years of age. To me, the idiom “every beginning is hard” was true to its word, as leaving family and friends behind for a fairly long time, coming into something completely unknown very far from home and being pretty sick, all the same time isn’t the easiest thing to do. However, being welcomed with open arms and open hearts into the family made it a lot better. It took some time to get used to all the differences and all the new things I saw, met and experienced. Starting with eating habits and eating salad basically without dressing (?! – which all isn’t too bad actually, as I said, it just needs some time to get used to it), going on to super different but awesome church service and ending with the fact that one is not allowed to walk around in town (except the basic, daily ways) on his or her own and going outside at night is a big No-No anyhow! The latter was quite frustrating and tiring at times, yes, but every challenge brings a learning process with it, as I experienced. Also concerning work it took a while to get used to all the habits, ways of teaching, all the rituals and of course all the teachers and especially all the kids. And yes, I felt a bit lost and also overstrained at points of time (for instance when the teacher of the class I was assisting had another appointment and decided to leave me in complete charge for the class… yes I felt overstrained back then but if the teacher wouldn’t’ve trusted me and knew I wasn’t capable of doing this job she wouldn’t’ve let me. In the end I felt very comfortable being on my own with the kids … that’s how one grows). Looking back on those six weeks I can see how much I’ve learned and how much I’ve grown, which I didn’t think was possible in such a short term. I learned about interpersonal relationships and interpersonal love; that richness or wealth does not mean having a certain amount of money or belongings but having family and friends; I learned heaps about faith; I learned that you don’t need much to be happy; I learned about ubuntu – I am because you are – and saw people live it… I could go on like this for a while now. All of this I learned because of the absolutely amazing and stunning people I met here. It is a very different culture and way of talking and treating each other than I was used to. I met people that are inspiring, people that give a lot more than they receive and people that make you feel loved and appreciated although they don’t really know you and you barely know them. The love and appreciation I experienced here (which all the people here gave to a complete stranger by the way) was very overwhelming! I am so thankful for this time and for all the people that made it as amazing as it was and as I will keep it in my memories. Looking back, all the (to be fair, I only had minor struggles but still) struggles seem null compared to the amazingness of the overall experience. 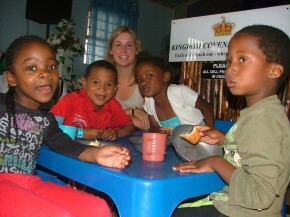 In 2014 I spent five months in South Africa volunteering at a Children’s Home. Even before my arrival I have felt in good hands with Volunteer Mzansi Afrika. I could choose the project I liked the most and Chantel Daniels, programme manager of //volunteermzansiafrika.com/volmzansi/ always helped me very quickly with all my questions. When the VMA representative picked me up from the airport I instantly felt welcome. The family I was with received me with lots of warmth and hospitality for the following four day cultural orientation which helped me settle in quickly and taught me a lot about the South African history, culture and people. Throughout the next five months Chantel was always there for me and has helped me with the small and big challenges that life in another country and in a Children’s Home brings along. She visited regularly, we spoke on the phone or texted and I have always felt very well looked after. 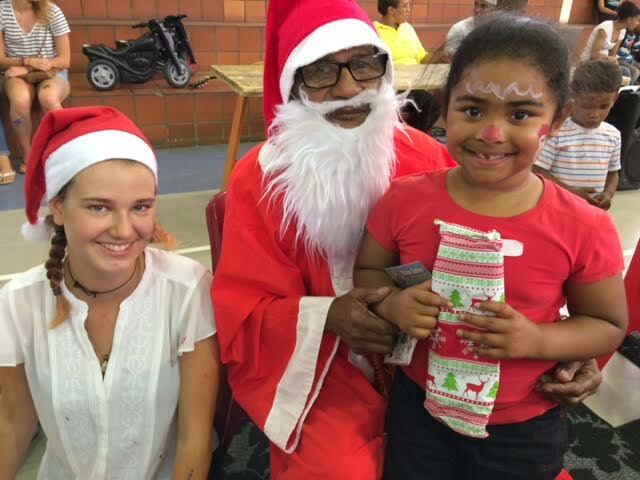 One of my nicest memories is the Christmas Party I had the chance to organise with Chantel and four other volunteers for a kindergarten in a community in Cape Town as part of the annual Project109 Cape Town. I will never forget that day and the joy on the kids’ faces. My stay in South Africa has been a wonderful and challenging experience which taught me a lot about myself. It would not have been the same without Chantel and her support every step of the way. Her work is her passion, she will make you feel at home and you will leave as a friend. 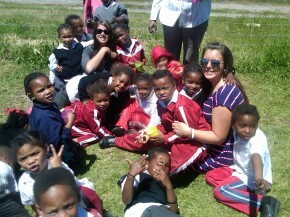 My teaching internship experience within a school in Cape Town, South Africa was Unbelievable. Volunteer Mzansi AFRIKA organised everything. The school that I would teach at, the community and the host family that I would live with. 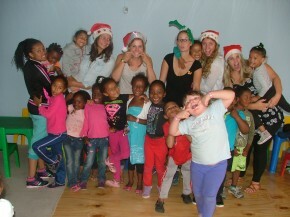 I spent this past summer (german summer), so let´s say September of 2014 in a community in Cape Town. Since I was only on a 4 week stay it was a relatively short insight I got from my stay abroad but it was intense and I won´t forget about it. If I think back now it feels like a dream and I don´t know what to do with it but dream it on and on. I had a wonderful stay with a host family in a wonderful house in the heart of a township in Cape Town. I won´t forget the first time we walked up and down the street, so I would find my way around and the people would know me. I never felt out of place even if they´d lovingly called me Cheesecake, Blondie or “Wit bokkie”. Cheesecake was our favourite! The people of the township I lived in were there to live their lives with the ones they loved and gave everyone the chance to become part of their life as well. It was heart-warming to see how open the South African culture is. The food and the music are impressive as well. Coming back and getting onto the first train in Germany I had a reversed culture shock. I sat down and everybody looked down. Most people with their earplugs in, living in their own life not sharing. Not greeting. Focussing on themselves not the community. So I tried to look up but you get locked down. And I put my own music on and wished to be back in South Africa. My life as a intern student teacher teaching at a School was as interesting as working within the community, but as well contrary. On the one hand side a private school with a special philosophy, teachers with dreadlocks and most kid barefoot, learning everything you learn at a state school within and mostly open system allowing kids to discover their own personality and strengths. On the other hand side kids enjoying life without having the latest iPhone or the coolest surfer wear – but skipping reading to play soccer, their passion. What is right what is wrong? I don´t think there is black and white, not even in a school system but there a ways it is easier for some children one way or the other. I think that way I did learn a lot about school. Not just school, or systems or teachers or teaching but about kids – the essence. I am very thankful for having the great opportunity to getting to know so many wonderful people and seeing so much love in Cape Town – South Africa. It feels like I found another place I can call home. when we were off volunteering work. I have learnt so much about South Africa and the culture and will never forget that. Chantel Daniels, programme manager of /www.volunteermzansiafrika.com/ gave me many opportunities to see different projects and in that way I also got to know more about the South African culture. I also grew personally through my South African experience. “Our first week in South Africa was spent learning about the history and getting accultured to our new home. I found this knowledge and time extremely useful and beneficial before beginning work at our work cites. Chantel was not only knowledgable about our community but South Africa as a whole and relayed that knowledge to us as much as she could. I also felt comfortable going to Chantel Daniels with any questions I had, which made all the difference in my experience. I felt as though I was part of the culture by the end of my stay, which is an amazing feeling. The lessons I learned during this experience are abundant. Working in the preschool opened my eyes to different education systems around the world. I learned more about my self as a person and as a future educator in those eight weeks spent in the classroom than I have in any other setting. I know that my practices as a future educator will be even stronger thanks to this experience. I have also learned about a whole new culture and while doing this I learned more about my culture. When I think of my time in South Africa, there is one place that always comes to my mind and to my heart first and that is the small community closes to the tip of Africa called Ocean View. ChantÄ“l Daniels, the programme manager of Volunteer Mzansi AFRIKA-volunteer and travel company, first did a presentation of her community and spoke about her community with pride and great enthusiasm. She also told us that even though the people of Ocean View had their challenges the spirit of ubuntu ran strong through their veins. ChantÄ“l selected my host family and I was placed in the flats (known as the blokke) referring to a block of flats. My host mom was a wonderful woman named Auntie Netta, who I still think about all of the time. She shared with me the stories of her own life and faith and welcomed me into her home. She shared delicious food and memories and stories of her family. Every time she spoke, all I wanted to do was run to my room to write every word she said down. I could not allow time to take her stories away from me. She inspired me to follow the path that I wanted for myself; regardless of what obstacles I could face along the way. I was also lucky enough to meet some of the greatest young people I have ever worked with in the community of Ocean View. The names AJ, Megan, and Nusrah and so many more still make me smile when I think of their energy and excitement for everything they did. Before my time in Ocean View, I stopped studying education because I thought I would lose interest as a teacher. It scared me to think about being in the same classroom day after day, and teach students who may not be grateful for all they had. But, the youth in Ocean View were so different. They faced obstacles that I did not have to face growing up, and regardless of where they came from, they knew where they wanted to go. Whether they wanted to be a fashion designer, a teacher, or a doctor, they had big dreams and big personalities. All I ever wanted them to learn, aside from the math that we worked on together, was that my friends and I were so lucky to meet them. They gave us back hope and inspiration. I recently graduated from college and have made the decision to move away from my home to a town that desperately needed teachers. The youth of Ocean View gave me so much courage and more importantly they gave me a piece of their spirit that I have taken with me and hope to never lose. I knew that I could not work in a place where I grew up; where many were ungrateful for school and the lives they had been given. Instead, I have chosen to work in a community whose children may not have the same material possessions as the kids I grew up with, but they also have a fighting spirit just like the youth in Ocean View. They touch my heart every day and give me a million reasons to wake up early every day and go to work. The youth that I worked with in Ocean View reminded me that with spirit and determination anything is possible. I wish there was a way for us to still keep in touch because I would like to thank that group of children and teenagers again for changing me permanently. I have shared the concept of Ubuntu with my students here in America, and will continue to share it with as many people as possible. It helps them see that we are a team, I can be the teacher and share knowledge because of their desire to learn and the joy they give me in return. I try to always remind them we are in this together. I teach math to my students now, and it is wonderful to think the first math lesson I taught was in Ocean View. To the community of Ocean View I would just like to tell you-You are a beautiful community with beautiful people, and there are people here in the States who still think about you and your strength and love all of the time. Mzansi is a xhosa word and it means “South” or “togetherness” and it remind me of my experience in South Africa in 2013. I am from Germany and I went for a long journey to the southernmost country I could imagine: South Africa. I wanted to meet South African people, talk about their life in South Africa and be together with them. Now I can tell about seven great weeks on a Volunteer Mzansi AFRIKA programme. I chose to do aninternship in a primary school and I was a coach of a soccer team for seven weeks. I was so nervous when my journey started because I didn’t know what I should expect. I was happy that I wasn’t alone and that I traveled together with my friend Valentina. When we arrived at the airport Chantel Daniels, programme manager of Volunteer Mzansi AFRIKA welcomed us so warm and friendly that I forgot about my concerns. 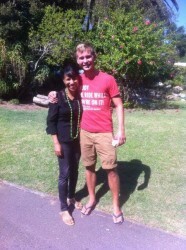 Chantel was our mentor of our internship for our 7 week programme. The first four days she orientated us and showed us important places in Capetown and told us about the south African society, culture and history. We went to the district six museum, the slavery lodge, the castle of capetown, the boulders beach and the cape of good hope. Then we visited the township Masipumele and the primary school where we did our internship for the first time. Our programme allowed us to stay within a host family for our first week. 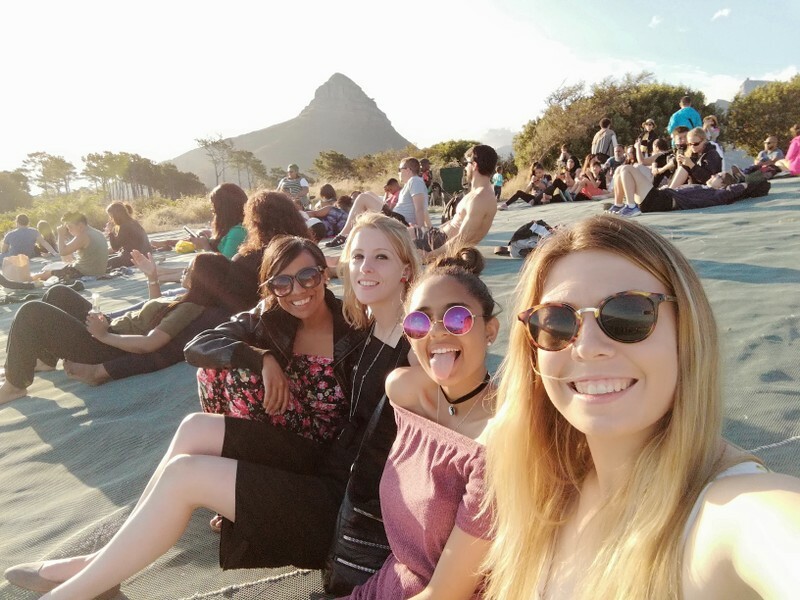 Our host parents also helped us to acclimate in Cape Town and they gave us the feeling to be part of the community and we had a lot of fun together. Every morning five minutes to eight all teachers and the principal have a short meeting and talk about important news. One morning the principal introduced us to the teachers and our exciting time at the school started. We prepared some lessons about Germany and Anne Frank and I was so happy because the kids were very interested in Germany and they wanted to learn some german words, I never would have guessed that. 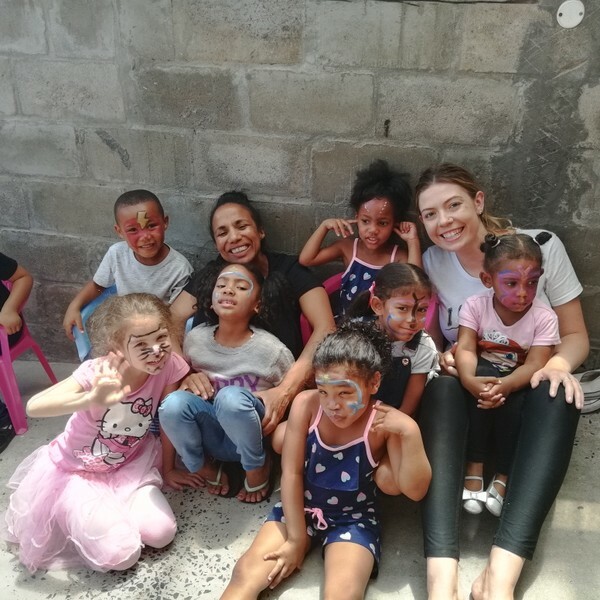 Doing sports with the kids was a big challenge and sometimes a bit chaotic, but the teachers support us the whole time and they confide in us and the children were very friendly and open-minded. Our Highlight was a walk to the beach with the whole school and we really enjoyed being part of the school for seven weeks. I was a coach of a male senior team in Cape Town, that sounds so cool and it was very cool. At first I was surprised to meet a senior team because I expected a junior team with boys and girls. The first session I trained with the boys. I was happy that one of them introduced me and did all exercises with me. Valentina and I planned the next sessions and we did the warm up and later on also we also did whole sessions. The boys were real gentlemen’s, they respected us as coaches and from session to session we came closer. We worked hard for the easter tournament in Ocean View. The team played very well and we made it to the finals and we won the tournament! It was great to celebrate with them and I was really proud of the team. We had a great last evening in Cape Town with all important people we have met. We sat together and Valentina and I talked about our highlights during our stay. The next morning it was time to say good bye. On the one hand I was really sad but on the other hand I was really happy because I have met wonderful people and together with them I can share great experiences which I won’t forget my whole life. The whole time Chantel cared for us and she was a very important support for us. I am sure that I will come back one day! and helpful email communications with Chantél, I still was coming to a strange country and essentially meeting with a stranger. 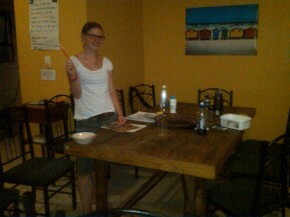 But right from the start, Chantél was sweet and helpful, and she strongly encouraged honest communication between us. This helped to put me at ease, and I was able to get settled in with my surroundings and my projects. that I was involved in were great. I spent most of my time at Tears Animal Rescue. The staff was incredibly friendly and fun. They also were great with including the volunteers in a variety of tasks and giving us a decent amount of responsibility. It was a fantastic educational experience. We also got to go through some of the communities, which definitely added to the cultural experience. The other project that I was involved in was equine therapy for disabled children. I had never worked specifically with mentally handicapped children, so this was very much a learning experience for me. However, the children were great, and it was nice to see how much they “lit up” when they were on the horses (with a couple of exceptions). This was actually the most challenging part of my entire trip to South Africa. I am not that experienced with handling and engaging with children. It was especially hard with children with special needs. But again, the staff was very helpful and supportive. And knowing that the program was for the children’s benefit, I tried putting aside any of my own discomfort and tried my best to be useful. This program was certainly different from anything I had ever done before, but I am so glad that I did it. My final note on the programs is that I am very glad that I chose the programs that I did. I am very experienced with animals, so I was at least somewhat in my element with the projects. Given how new everything else was, I think that it helped me to be a little more at ease with the situation. However, for my next volunteer opportunity, I would like to be more engaged with the people of the communities, and less with the animals. I have no doubt I would learn a great deal more of the culture and the people. Moreover, I think I might be of a little more use. And who knows…if I am helpful enough, I might actually give Americans a good name. toured a second one, but not until later), and Chantél also introduced me to public transportation, safety protocols, and other day-to-day essential activities. I especially appreciated learning about the public transportation. It gave me a great deal of freedom and independence. I really felt like I was ‘living’ in South Africa—if only for a short time—as opposed to vacationing in South Africa. the programs that I volunteered with. But frankly, I think I benefitted the most of the whole experience. This experience challenged me in so many ways and forced personal growth. I am—at heart—and introvert. Gradually, I have learned to become more outgoing and sociable. This trip made my growth in this area more exponential, instead of gradual. I was quite suddenly dropped out of my comfort zone and forced to adapt. It was exhilarating and terrifying at the same time. Along with this came a growth in confidence. In fact, even just joining the program and committing to the trip was enough to boost my confidence. I had been dreaming of leaving the U.S. for over 10 years. I was beginning to get concerned that I would never make it out. But I finally did it. And now, I am confident that this was just the first of many wonderful international experiences I will have. To quickly sum up, I had an amazing time! It is easily one of the best experiences of my life. I cannot wait until my next trip! Thank you Chantél for everything! You are amazing, so is your family, and so is everyone at church, and so are the kids at the school! I really cannot thank you enough for everything! You were more than I could have ever hoped for! God knows what is best and obviously has a plan, even if we don’t yet see it. I think that is my biggest lesson of the trip. Townships. Chantél ist sehr flexibel und sehr freundlich und nett. Die Tour war super durchgeplant. Allerdings kann man je nach dem, was einen mehr oder weniger interessiert auch noch Dinge genauer anschauen oder einfach weiter fahren. Eine gebucht Township Tour wäre mit Sicherheit nicht so einmalig verlaufen. 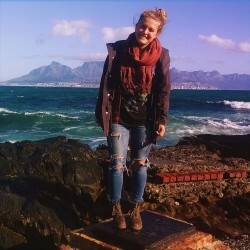 Chantel Daniels, programme manager of Volunteer Mzansi AFRIKA,//volunteermzansiafrika.com/volmzansi/ is really a great point of contact to work with when doing volunteer work in Cape Town, South Africa; her attention to detail and efficiency in getting tasks done is impeccable. She genuinely cares about the well being of the volunteers she is responsible for and displays this through honest communication and respect. Chantel pays distinct attention to all realms of the volunteers’ health, including mental, physical, and emotional. Additionally, she possesses a very upbeat and encouraging personality, and truly desires to build relationships with clients and project coordinators.